A GruhaChalwal that empowers you to buy a home by simply saving a small part of your daily expenses. A GruhaChalwal that respects your hard-earned money. A GruhaChalwal that allows you to secure a loan to buy a home even without a salary slip. A GruhaChalwal through which you can fulfill your dream of home-ownership with your first salary. Through their two offerings, UrbanGram and AnandGram, at various locations around Pune and Kolhapur, Vastushodh aims at providing a home for every budget. 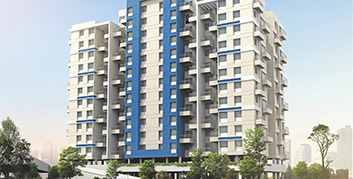 Vastushodh creates affordable housing that doesn't compromise on quality, making owning your dream home a reality. A jingle written specifically to capture the essence of what Vastushodh stands for. Sung by Swanand Kirkire and Vaishali Mhade, it is set to a distinct melody, and has become a crowd favourite among Vastushodh's patrons.